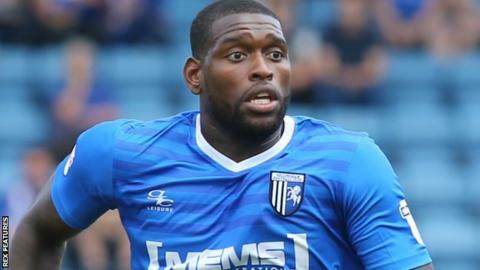 Jay Emmanuel-Thomas has returned to Queens Park Rangers after his loan spell at League One side Gillingham was ended early. The 26-year-old striker scored 10 goals in 35 appearances after joining the Gills on a season-long deal in August. But Emmanuel-Thomas failed to score in six outings under new Gills boss Ady Pennock, who was appointed by the Priestfield Stadium club on 4 January. The former Arsenal trainee is not eligible to play for QPR this season. Emmanuel-Thomas' final appearance for Gillingham was in Saturday's 2-1 defeat at Coventry, when the ex-Ipswich and Bristol City man was substituted at half-time.